Sivanto Prime for control of sugarcane aphid on sweet sorghum has been approved for use in North Carolina during 2019, as in previous years. Here is the label describing the specific use requirements. 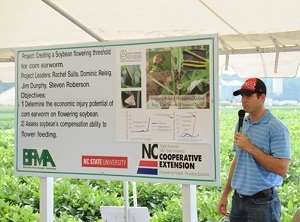 NC State University Entomology extension faculty and staff work with county field faculty, growers, consultants, and the public across the state in solving insect problems through research based and environmentally sound practices.